It took awhile (a bit too long) but the official Adobe Reader app is now available on the Windows Phone Store for Windows Phone 8. 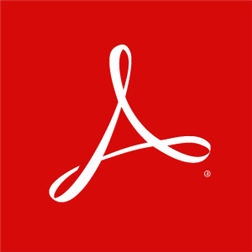 Adobe® Reader® is the free, trusted leader for reliably viewing and interacting with PDF documents across platforms and devices. Install the free Adobe Reader mobile app to work with PDF documents on your Windows Phone devices. Easily access a wide variety of PDF types, including password-protected documents. Written by: Hyde13 on June 3, 2013.